Considered in the 1940s to be South Africa’s premier society portraitist, Lewis was steeped in the tradition of British painting and internalised to a high degree the style of Augustus John (1878–1961). The latter’s prolific output was concerned with the lucrative demand to portray members of British society. He also took much interest in a romanticised portrayal of the life of ‘marginal’ British rural folk, notably the gypsies. This social dichotomy in terms of subject matter was replicated to a large degree by Lewis when he set up a studio in London after the First World War. His career in England was punctuated by return visits to South Africa, where besides painting the portraits of important colonial personalities, he also went in quest of rural subjects – South African equivalents, in a sense, of the gypsies of rural Britain. His ‘native’ sitters are rendered with a similar tinge of romanticised exoticism. Painted when the last vestiges of traditional life of rural South Africans were vanishing, he, like many other artists working within the genre of the ‘native study’, went in pursuit of the African in his ‘natural’ state. Neville Lewis.1963. Studio Encounters: Some Reminiscences of a Portrait Painter. Tafelberg: Cape Town, p. 61. Esmé Berman. 1983. Art & Artists of South Africa. A.A. Balkema: Cape Town and Rotterdam, p. 262. Born Cape Town, 1895; died Stellenbosch, 1972. Training 1912: Studied with Stanhope Forbes in Newlyn, Cornwall, UK. 1914–1916: Slade School of Art, London, under Henry Tonks, Philip Wilson Steer, Derwent Lees and Ambrose McEvoy. Selected Exhibitions 1920: Carfax Gallery, London. 1941–1945: SA War Art Exhibitions as SA’s first official War Artist. 1948: South African Art, Tate Gallery, London. 1972-1973: Memorial Exhibition,University of Stellensbosch. Collections Iziko SA National Gallery, Cape Town; Imperial War Museum, London; Tate Gallery, London; Johannesburg Art Gallery; Durban Art Gallery; SA National Museum of Military History, Johannesburg; Manchester Art Gallery, UK. 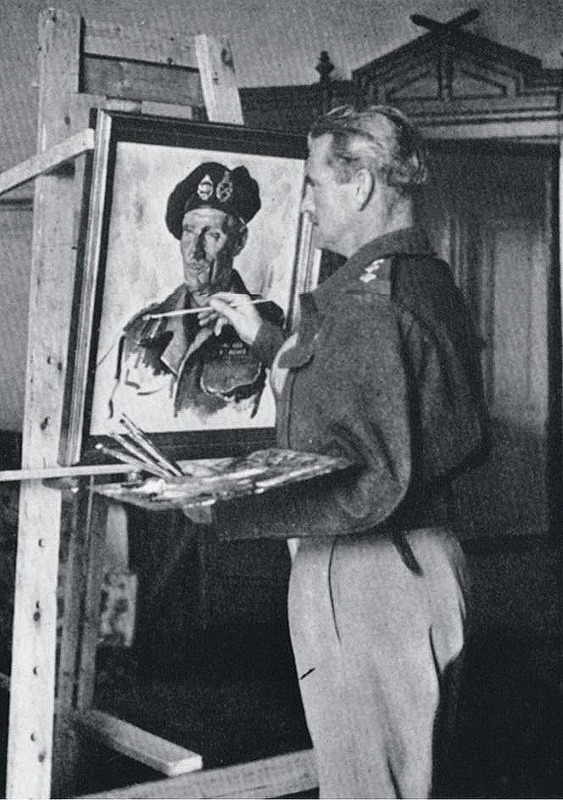 Neville Lewis at work on a portrait of Fieldmarshal B. Montgomery. Source: Neville Lewis. 1963. Studio Encounters. Tafelberg Press: Cape Town. Plate 12.